You know what is no fun? When you apply for job, and they’re never hiring. There are many work from home companies that hire all the time, you just have to know which places are hiring. I know that I don’t like sifting through a bunch of work from home jobs when I don’t know if anyone is hiring. Just remember that some places are upfront that they’re not accepting applications and others are not. So, even if they say they’re hiring, it doesn’t mean they are! Truthfully, you need to apply and from there. You can’t think of working at home as a temporary thing, you really have to be dedicated to the whole process. Working from home takes just as much effort as going to a job outside of the home. If you have small children or animals, you should know that most of these work from home positions require that you have a quiet place to work. 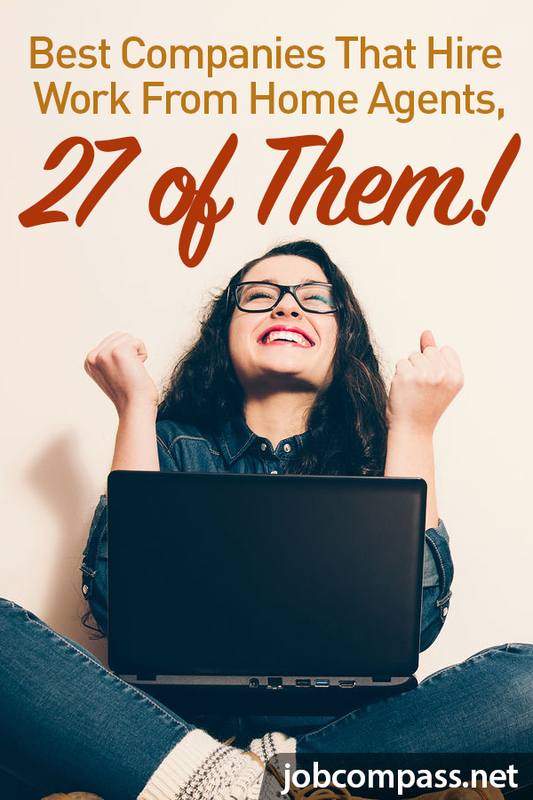 Even the best companies that hire work from home have standards, and this is one of them! Another requirement for getting companies that are hiring immediately are a computer that works. It’s best to have this before you even start applying for jobs. This way you can start working once hired. When it comes to working from home, you really need to have a good attitude. You will probably be spending a lot of time applying for work at home jobs, and that can be hard mentally. Try and have a good attitude, when it comes to working from home. Working from home requires one thing that you can’t skip out on, and that’s an Internet connection. You can get Internet pretty cheap, just shop around for the best deal. You will want to make sure it’s a good connection too. After you get hired as a work from home agent, you will be required to download proper software for your job. Most people are surprised when they have to download software, but you shouldn’t be. Just expect it as a part of working from home. The best companies that hire work from home agents and employees are the ones that you enjoy! Not everyone is cut out for working for these companies. 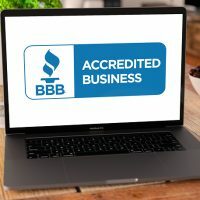 The companies listed below expect you to do the work and to do it right the first time. They’re looking for hardworking people who want to do the job right. Just think about it, no one wants to hire someone who doesn’t take pride in the work they do. I’ve checked these work at home jobs, and they hire frequently. You should be able to apply and if you’re a good candidate, get hired. How awesome does that sound? Some of these online jobs hiring now are the perfect match for you! Work as a customer service rep with Aspire Lifestyle. With this company, you can work from home and make money. You’ll work as a call center rep and talk to customers about their accounts. You can expect to make, on average, around $11 an hour. Back in the day, I applied to work for Brainfuse and loved it. Brainfuse hires tutors to work from home. Each time you tutor, your pay is around $10. If you’re working from home, this is a simple and fun way to make money from home. Plus, Brainfuse is always looking for work at home help. Working from home is fun with Convergys. When you work for Convergys, you can work on the technical side of things, in sales, and even customer service. Apply to work as a work at home agent with them. Do you like calling people? You may like working with Direct Interactions. Due to the nature of the job, they’re always hiring. Make sure you apply with this place. They actually call motorists who have unpaid parking tickets. This is a job that requires you to stay calm as the customers can sometimes be irate. When I tell people about working from home, I tell them about Liveops. This is such a great way to make money from home. I’d encourage someone to apply if they’re looking at ways to make money from home. If helping people is your passion, then apply to work for Liveops. Have you always want to make money from home? Check out Alpine Access! They’re almost always hiring. You can to work from home as a call center rep. You can expect to make around $9 an hour! I have heard such awesome things about VIPKid, plus they’re always looking for people to join their team. 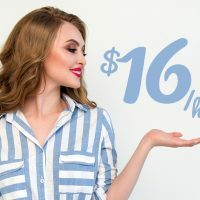 VIPKid pays pretty well too! If you have a Bachelor’s Degree, you might find success with VIPKid. They simply teach people English. You can work whenever you want and as much as you can handle (within reason). If tutoring is your thing, then why not apply to work from here? If you’re tired of the 9-5 grind. Ability to commit to 16 hours or more per week; half or more on evenings/weekends. Are you looking for a way to work from home, but don’t know where to start? Gengo is always hiring! Make sure you apply to work here if you desire to be a professional translator. There are freelance translator opportunities with this company. If you decide to go with them, then you can apply here. When you work from home, you should do something that YOU want to do. Although, you need to be a certified teacher. You are teaching people how to speak English. This job requires that you work 20 hours a week and at least 4 hours a day. If you’re interested in applying, then go here. Another great work from home option is Working Solutions. Do you want to work from home? Do you want to be involved in customer service? Worldwise 101 offers customer service, and you could be the next customer service agent that works for them. I know you’ve heard me talk about uHaul before. It’s so easy to get in with uHaul, and it’s so simple. Working with uHaul, you can be a sales rep, all while doing reservation work. Working from u Haul is a dream come true because you can work flexible hours and work when you want. The best part is that you can work from anywhere in the USA that you want. Working from home has never been easier. You can work from anywhere that you want at any time! Sitel is an opportunity worth checking out if you’re looking for a work from home position. If you’d like to apply for Sitel, apply here. Are you a self-motivated person who enjoys problem-solving? Are you ready for a change in your professional life? Are you ready to enjoy the benefits of working from home? Do you have DSL or cable modem internet? Are you committed to providing exceptional customer service? Do you have a noise and distraction-free work environment? Do you live in one of our hiring states? Have you heard of Leapforce before? If so, then this may be the perfect job for you! Although this opportunity used to be known as Leapforce, you will also hear it as Appen. If you’re highly educated and have a desire to work from home, then make sure you give this a try! Although not everyone enjoys customer service jobs, Enterprise is the perfect work at home opportunity for a lot of people. Employees who work here come from all walks of life. This could be the one job that helps you love working from home. Some of these work at home jobs are location specific. How much do you enjoy teaching English to other people? Open English is a place that seems to be hiring a lot for work at home positions. When English is someone’s biggest challenge, they need help from people like you. Apply to work for Open English today. Want to make some extra cash? Website testing is such a neat way to make money from home. TryMyUi has been around forever! Testing websites doesn’t pay a ton of money, but TryMyUi is a GREAT company to work for! Have a degree in the medical field and want to put it to work? Apply for Medzilla. Well, you can apply ON Medzilla. There are tons of jobs listed for the medical field. You never know what you’re going to find, so go for it! This company is almost always hiring because they need people like YOU to test websites. User Testing is one of the higher paying work from home job options. It pays $10-$15 PER assignment. Someone has to tell website owners what users do, while users are on their website. With “What Users Do” you can get hired to test websites. It pays around $12.50 per test. Go ahead and sign up and see if this is something that floats your work from home boat. Want to work with a company that is actually hiring? Make sure you head over to FlexJobs. They always have job postings for companies that are hiring. You will be able to find a job that you really want to do, which is super important. Don’t settle for working for a company that you don’t really want to work for. 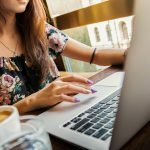 Upwork gives you the chance to find work from home with companies that are frequently hiring. 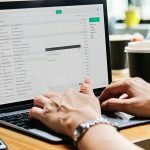 There are thousands of jobs on Upwork that can help you make an income right from your own home. Still looking for a work from home job that you will love? Give TTEC a try! This is one of the best companies that hire work from agents. They hire everything from work at home agents to insurance agents and tech support! If you enjoy working with technology, then you should consider working for Dell. If you haven’t owned one of their computers, then you are missing out. They also offer the best customer service to their customers. You can check out their work home job options right here. Another work from home option that hires frequently is Kelly Services. Think about the possibilities when you work from home with this company. Kelly Services is a leading company that hires jobs like: Attorney, SAS Programmer, EDI Program Consultant, Life Insurance Underwriter, Clinical Site Manager, Recruiter & more. One of my favorite work from home jobs is with Aetna. They offer remote jobs for people like you and I. You can apply to work with Aetna, right here. Beware though, they are a REALLY good company. If you do get hired, you should work really hard! These legitimate work from home jobs hiring now aren’t a hoax. There are actually companies that want to hire you to work from home for them. If you’re tired of working the 9-5 and want a career that you can do from home, then you need to check out these jobs! Try to find a work at home positions that you love, so you don’t have to look for work all of the time. What work from home position are you eyeballing? I’d love to hear if you land one of these work at home positions.